Just in the nick of time for my office Christmas party, I found this idea for Santa hats on a blog. We enjoyed these tasty treats so much that I'm going to make more for another holiday party. Preheat oven to 350 and grease your mini muffin pan. Bake for 20 minutes, or until cake tester comes out clean. Once brownies are cool, place strawberries upside down onto brownie bites. Melt white chocolate chips in a double boiler and transfer into a piping bag. Pipe a ring around the base and a small dot on top. Work quickly since the white chocolate tends to dry fast and may clog the tip. *Getting together with dear friends for a wonderful dinner at Nola's last evening and loving their contemporary chandeliers. *Slowing down enough to enjoy and cherish moments with family. I'll be baking with mom soon and sharing the recipe for Almond Paste cookies next week. 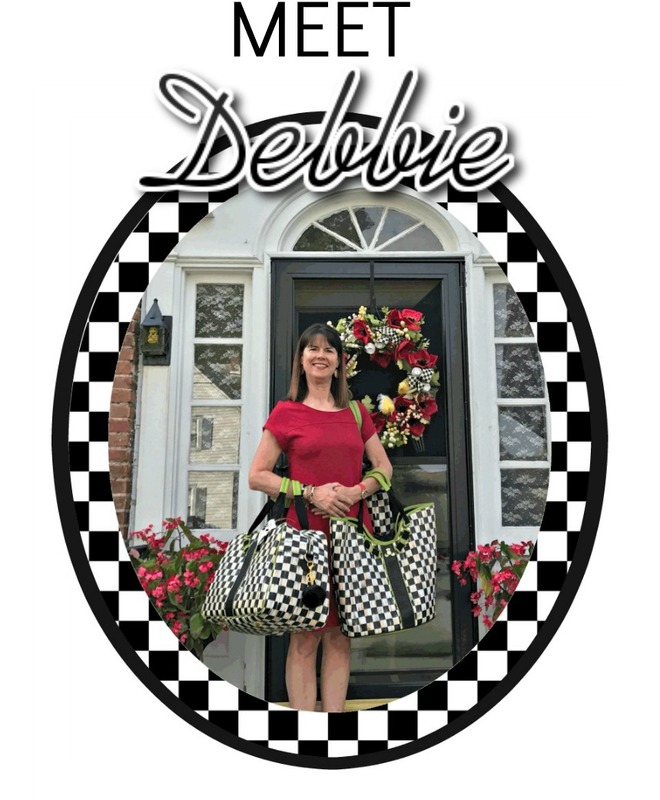 Hello, I'm Debbie.I enjoy hiking, kayaking, cross country skiing and snowshoeing in the Adirondack Mountains (thus Mountain Breaths). I live in Upstate NY with my supportive husband and have three precious sons.. I've been seeing these around & am going to be making them for a luncheon this week. They are adorable! Oh this is a great photo of these Santa Hat Brownie Bites. A friend just sent me this recipe this afternoon and I can't wait to try it. Wow, I love your Vietri snackskin plates. Beautiful! I love them. I have to do a post on these darling little bites. You always do a nice job!! 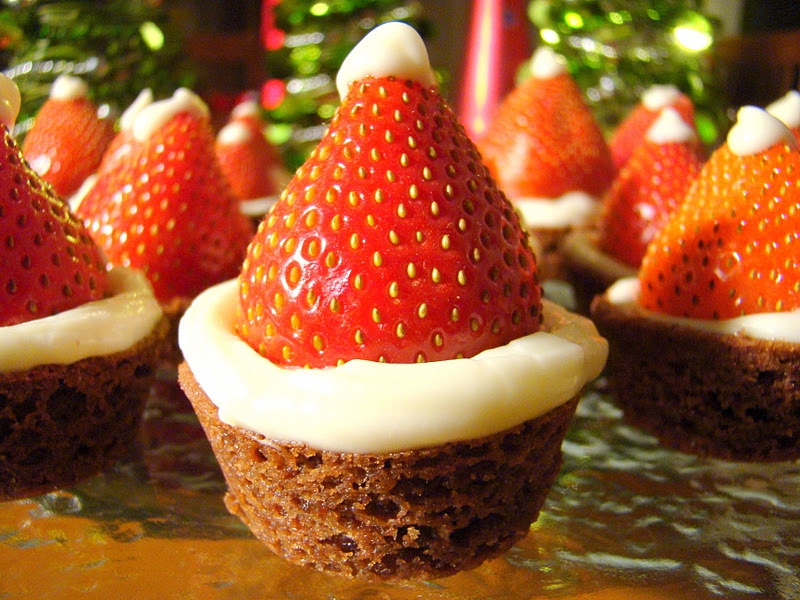 I saw those adorable Santa Hat Brownie Bites on Pinterest and wanted to try them but the strawberries lately at the grocery store have been sad! Yours look so festive! I am loving these Santa hats Debbie. Sending this to my daughters. They look great! Very festive bites! Now I couldn't decide what I'd like more, these or the stuffed berries. Oh goodness, so cute! I love brownies, so this are great to make for the grands. I also love your Vietri plates, I did say that before. I can't believe the festive toe nails, lol! Thanks for coming and for your kind comments. I do love to use the fire place as you do too for decorating purposes; you see, I live in the Andean region of Ecuador,so June, July and Aug. here is like a winter with no snow, so we do use the fire place a lot and I love to! Now around Nov., Dic., and Jan. the weather is like spring in the USA, there's no more changing of seasons dratically like in the North. Wish you and yours a very Merry Christmas. NOLA's is one of our very favorite restaurants in the area--their food is always terrific! LOVING those Santa hats--too stinkin' cute, Debbie! 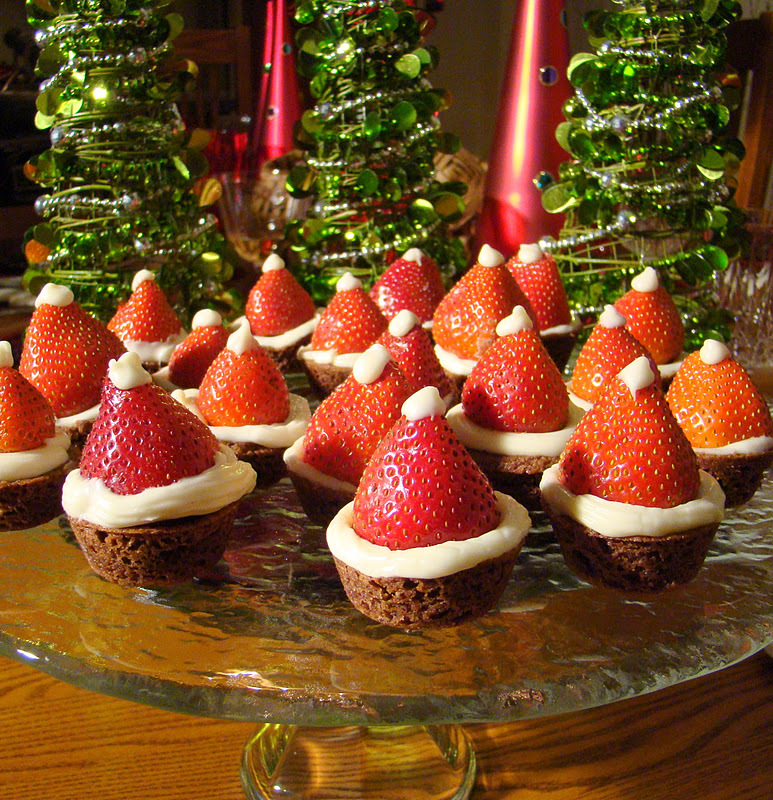 The Santa Hat Brownies look delicious ... cute, too! Thanks for the recipe. I saw those brownie bites and you were totally the first thing that came to mind. I knew you would love them :-) I pinned them to remind myself to send them to you but you found them anyways. YAY! Love all your red but especially those toes!!!!! These are so cute and look so delish! How adorable! Yours turned out really cute, Debbie. Those look amazing!! I think I will try making them!! How clever -- those are so cute! CUTE!!!!! Have to make these. I saw them at Sweet Tooth's too. They are so cute! I thought I might make them for Christmas. Love your red clogs, and this was another fabulous weekend, 50 degrees! Brilliant idea...the brownie Santa hats...I also love those peppermint nails! The santa hat brownies are really cute and easy to make, thanks for sharing. What a cute, cute idea!! I'll be making them for sure. Also love your Mackenzie-Childs dishes! I'm your newest follower; I hope you'll visit me back! Merry Christmas! I so love your santa muffin. And your photos are awesome! What a cute idea! Thanks for that! Amazing how simple it can be to communicate with people and have them understand a certain topic, you made my day. Now I have another sweet treat to add to my dessert table! So cute and festive. Merry Christmas! Oh, wow! Your Santa Bownie hats look so cute. I'm sure there as yummy too. 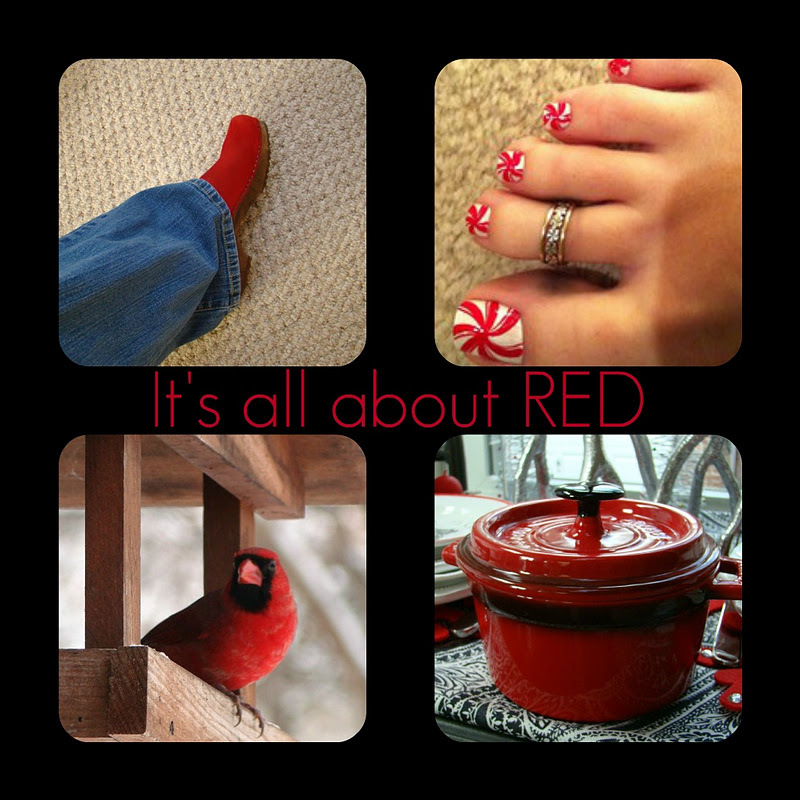 I love the splash of red, from the clogs, toenails and the pretty cardinal. 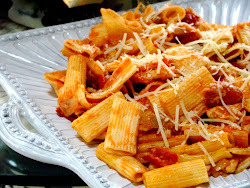 wonderful post and thanks for the recipe. have a great week! Thank you so much for the fresh and wonderful idea. Love these Santa hat brownies. Plan to make them for my holiday open house at my art studio. Hope they are as good as they look! I'm so happy you decided to stop by my blog. 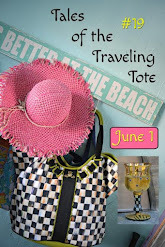 Please leave a comment as I enjoy hearing from each and every one of you! Blogging has introduced me to a wonderful community of peers, and we learn so much from one another. I'm a New York girl decorating with MacKenzie-Childs one season at a time! I enjoy hiking, kayaking, cross country skiing and snowshoeing in the Adirondack Mountains (thus Mountain Breaths). I live in Upstate NY with my supportive husband and have three adult sons two precious grandsons. We are Adirondack 46ers, which is an organization of hikers who have climbed all forty-six of the traditionally recognized High Peaks of the Adirondack Mountains. We are referred to as 46ers. We completed the 46 peaks on August 26, 2000. 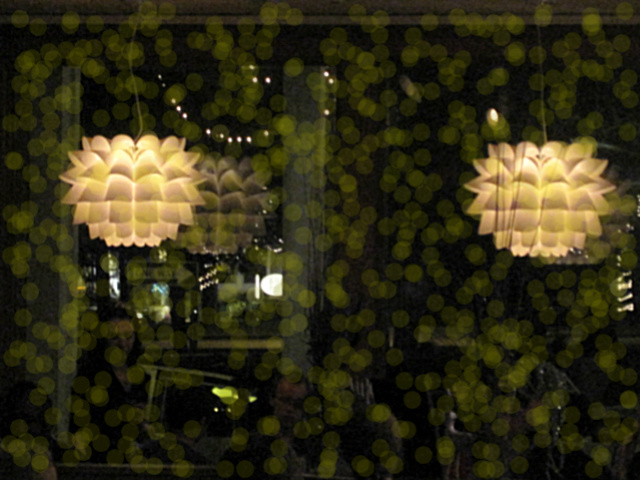 Click our picture for more information.